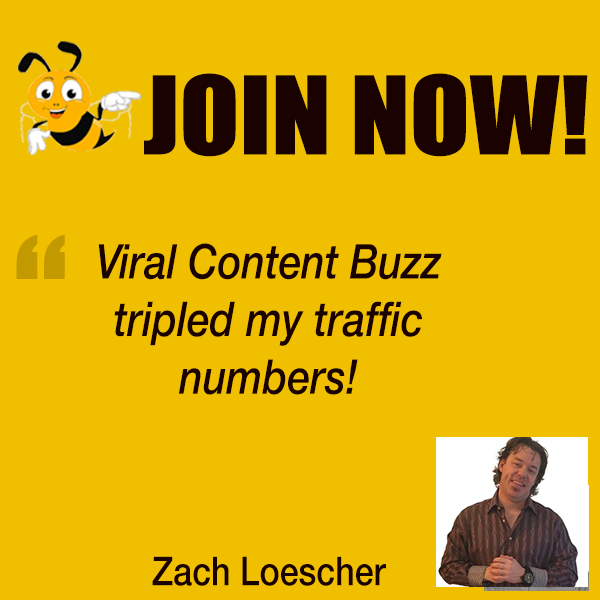 At ViralContentBuzz we LOVE sharing original ideas! This is where MyBlogU can help you with: It lets you crowd-source your unique article idea to stand out! 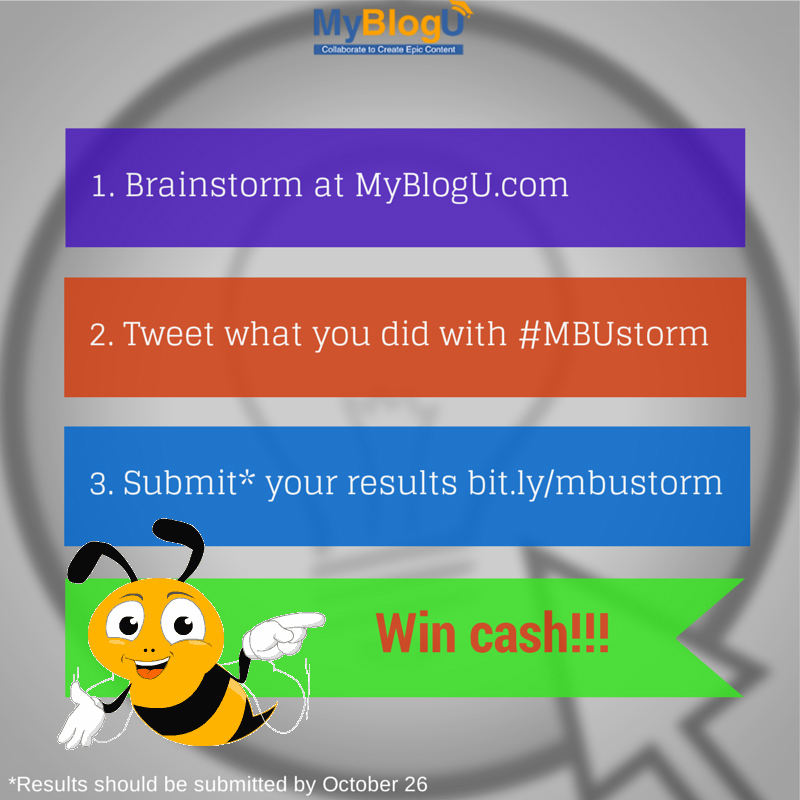 This month VCB supports MyBlogU 30-day brainstorming challenge in an effort to help you create AWESOME content. * This way VCB and all the idea authors will find out about your piece and help promote it for you! We will receive your URL at our end and help promote it for free traffic and exposure! Enter the 30-day challenge for more GREAT prizes here. Just a few of the AWESOME challenge partners! BuzzSumo: Manage your brand like a PRO. Paper.li:Create and send beautiful newsletters, brand and customize your paper, custom domain and more! Cyfe: Search and social media analytics monitoring and reputation management. Usertesting.com: Improve your conversions and get the most of the traffic we are helping you to drive! Shareaholic: Related Content, Share Buttons, and Social Analytics platform!